The Dodgers have a problem. No, not the kind that will hurt them in the regular season. They have the best record to date in franchise history–keep in mind that their history dates back to 1884. They could play under .500 the rest of the way and still finish with over 100 wins. The Dodgers will be the number one seed in the National League. And that’s where the problem lies. Come October, who’s pitching? It’s a good problem to have. The Dodgers have had nine pitchers start this season–a major improvement from last season, when they used 15 different starters. Seven of those nine starters stand a decent chance at earning a playoff start for the boys in blue; the other two starters, Brock Stewart and Julio Urias, are both currently in the minors. It’s like an NBA superteam, somewhere between the Lebron-era Heat and the 1992 Dream Team. Everyone wants to toe the rubber, but only one guy gets to start the game. It’s hard not to smile when you have a pitching staff this good. There’s only so many starts to go around too. Most teams opt with a four-man rotation in the playoffs, particularly teams with the Dodgers’ pitching depth. Last season the Cubs rotation consisted of Jon Lester, Kyle Hendricks, Jake Arrieta, and John Lackey. In 2015 the Royals also used a four man rotation, going with Edison Volquez, Johnny Cueto, Yordano Ventura, and Chris Young in the first four games of the World Series. A three-man rotation isn’t unheard of, particularly if the club in question has a strong bullpen. The Cleveland Indians were one rain delay from winning the World Series, and they made it there with little more than Corey Kluber and a bullpen. Could the Dodgers buck convention and run a three-man rotation? It would allow Kershaw and Darvish to get two starts apiece in the NLDS. But Kershaw’s struggles in the postseason (4.55 ERA with a 4-7 record in 18 games) can largely be attributed to pitching on short rest. The Dodgers finally get the chance to have a fully-rested Kershaw pitching with the season on the line. They shouldn’t squander the opportunity. One, two, punch: Kershaw and Darvish are a terrifying lefty-righty combo. Kershaw and Darvish are the obvious 1-2 punch in the rotation. When fully healthy both are capable of tearing through opposing batters with gravity-defying curveballs and sliders that move more than John Travolta on a disco dance floor. Kershaw’s currently on the DL with a back injury, but the team is optimistic he’ll be ready to go in the postseason. But who goes after Kershaw and Darvish? 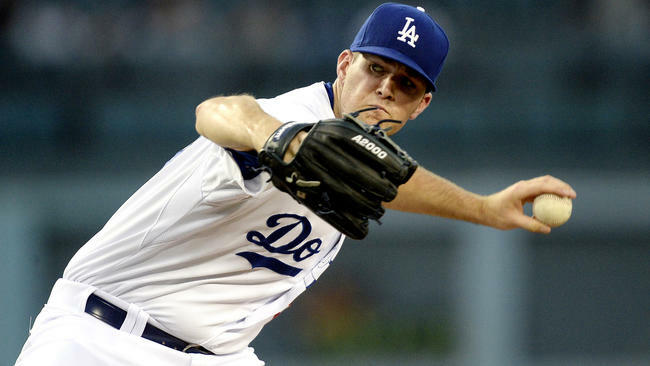 If Dave Roberts makes his decision based on this season alone, Alex Wood would be the clear number 3. He doesn’t currently have enough innings to qualify for the ERA title, but if he did he’d be third behind Kershaw and Scherzer. In 12 of his 17 starts he’s allowed no more than one earned run. The fourth and final spot would be a contest between Hyun-Jin Ryu and Rich Hill, who both have ERA’s around 3.50 through 16 starts. Weird delivery? Maybe. But Alex Wood is getting it done. Postseason experience also has to factor into the decision. Based on that alone, Ryu and Hill would be the final two starters. Ryu pitched for the Dodgers in the 2013 and 2014 postseasons. He struggled in his first outing in the 2013 NLDS against the Braves, but posted quality starts in the NLCS against the Giants and a year later in the NLDS against the Cardinals. Hill started three games for the Dodgers last postseason, including the pivotal Game 5 in the NLDS against the Nationals. He also shut down the eventual-World Series champion Cubs in Game 3 of the NLCS. Kenta Maeda also started three games for the Dodgers last fall, but he failed to make it to the fifth inning in any of his outings. The Dodgers would go on to lose all of the games Maeda started. Wood has appeared in four postseason games, two of them with the Dodgers, but did not started any of them. Three of those four appearances were excellent, the only blemish coming against the Mets in the 2015 NLDS. Brandon McCarthy has yet to pitch in the postseason. Kenta Maeda has started more games than any other pitcher for the Dodgers over the last two seasons, but will he get the chance to start in the postseason? Whoever isn’t starting will likely get moved to the bullpen. Wood actually started the season in the bullpen before moving into the starting rotation. He’s worked 46.1 innings out of the ‘pen in his career with the Dodgers and the Braves, compiling a 2.53 ERA and allowing just 2 home runs. 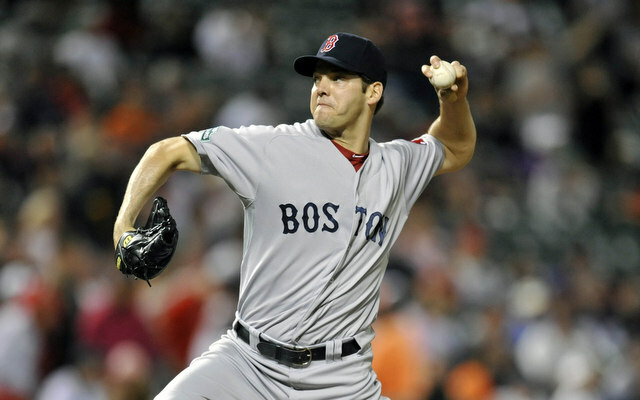 Effective as a reliever in Boston, Rich Hill might find himself back in the ‘pen in October. Hill is the other starter with bullpen experience, though he hasn’t worked in relief since 2014. When the Red Sox acquired him in 2010, they used him exclusively out of the ‘pen for three seasons. In 2013, he appeared in 63 games for Cleveland, all in relief. All told Hill has worked 86.1 innings of relief, during which he posted a 4.38 ERA. Ryu, Maeda, and McCarthy have almost exclusively been starters. Maeda and Ryu have combined for three relief appearances in their careers, and McCarthy has only worked relief twice since his time in the White Sox bullpen in 2006. McCarthy might not be making headlines, but he’s been a key part of the Dodgers rotation this season. Dave Roberts will also want to consider potential matchups. The Rockies and the Nationals rake against lefties, both posting batting averages above .280 as a team against southpaws. The Diamondbacks, on the other hand, have a .233 average against left-handed pitching. Should the D-Backs beat the Rockies in the wild card game, Roberts might be inclined to use some combination of Wood, Ryu, and Hill. In a potential NLCS matchup with the Cubs or Nationals, the situation is a bit different. The Nationals hit righties just as well as they hit lefties, so it’s a bit more challenging to play matchups against the DC sluggers. The Cubs, on the other hand, have struggled against right-handed pitching to the tune of a .241/.318/.426 team slash line. Perhaps we might see Maeda or McCarthy make a start if the Dodgers play the Cubs in the NLCS. 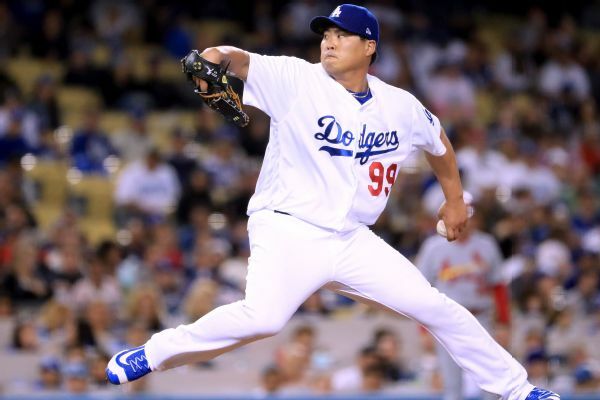 Against the Mets on Sunday night, Ryu was dominant, allowing just one hit and no walks over seven scoreless innings. He struck out eight. There’s clearly a lot of data Dave Roberts and his analytics team have to parse through. They also have two more months of the season to see who’s healthy and who’s pitching well headed into the postseason. With all that being said, I expect that the Dodgers starters for the NLDS will be (in order) Kershaw, Darvish, Ryu, and Hill. Wood might be disappointed about being moved out of the rotation, but he’ll be a difference-maker out of the bullpen giving Roberts two-to-three innings of relief a night. Putting him in the ‘pen will also let Wood pitch in more than 2 games per series. Having right-handers Maeda and McCarthy in the bullpen would be smart tactically as well, balancing out a bullpen that currently leans lefty-heavy. The Dodgers have the chance to put together a historic season, and they have the pitchers to succeed. Now Dave Roberts just needs to find the right order in which to use them.